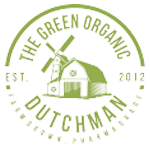 The Green Organic Dutchman Holdings Ltd. is a premium global organic cannabis company, with operations focused on medical cannabis markets in Canada, Europe and Latin America and the Canadian adult-use market. The Company grows high quality, organic cannabis with sustainable, all-natural principles. TGOD’s products are laboratory tested to ensure patients have access to a standardized, safe and consistent product. TGOD has a funded capacity of 170,000 kg and is building 1,382,000 sq. ft. of cultivation facilities across Ontario, Quebec and Jamaica.